Manage and maintain all lawn care needs for multiple properties in one convenient location. TaskEasy helps portfolio managers maximize NPV per property by reducing administrative overhead and increasing rental revenue. Consolidated invoicing simplifies the back-office workload and frees up admin FTE's for other tasks. Don't hassle with contractor management. All work is managed by TaskEasy and is performed by pre-screened, licensed, and insured contractors. TaskEasy can help you manage and maintain all of your vacant and occupied properties. Contact TaskEasy to find out how much you could be saving on property maintenance. Grass cutting season has always been a headache for me, but now that I found TaskEasy I look forward to grass season because I know everything will go smoothly from start to finish. The responsiveness and personality provided by TaskEasy is astonishing... Their tools make it simple to bid all of my properties. Thanks TaskEasy for making my workload that much lighter. 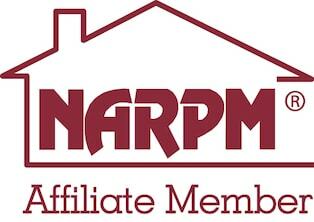 Ready to sign up for automated exterior maintenance? Have less than 5 properties? Get an instant price quote by clicking below.